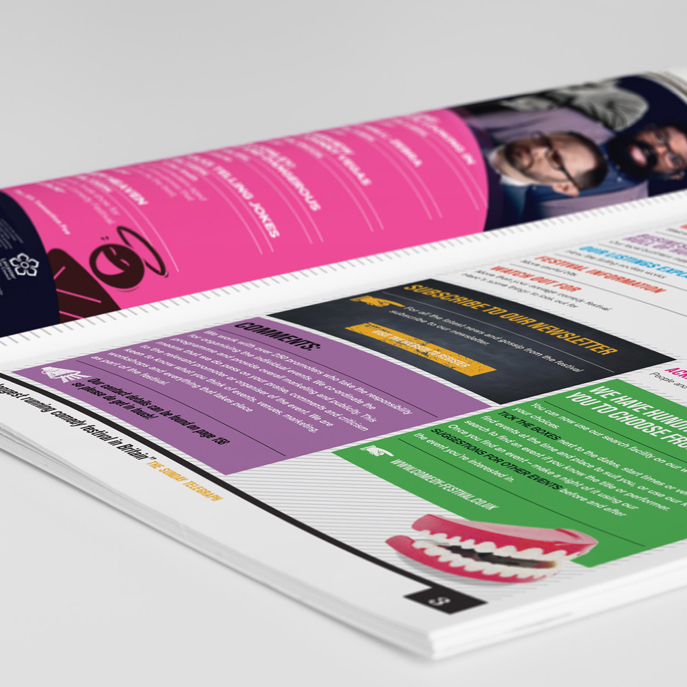 Leicester Comedy Festival is one of the most important and influential comedy festivals in the UK and we have been its exclusive creative marketing partner for over 20 years. 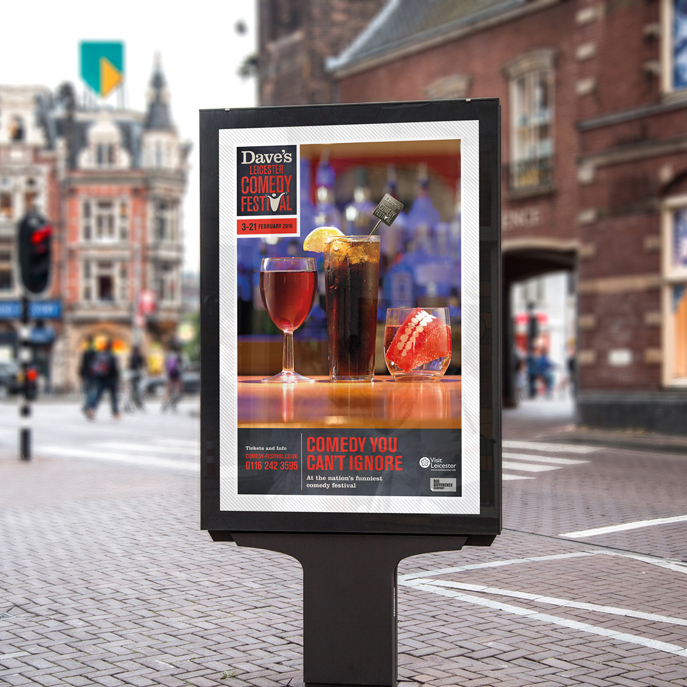 In 2012 Dave TV became the festival’s main sponsor and Reach set to work ensuring the festival kept its identity while remaining ‘on-brand’ with Dave. The 2012 ‘Dave’s Leicester Comedy Festival’ was a resounding success. The Knight image was typical LCF and quintessentially Dave. 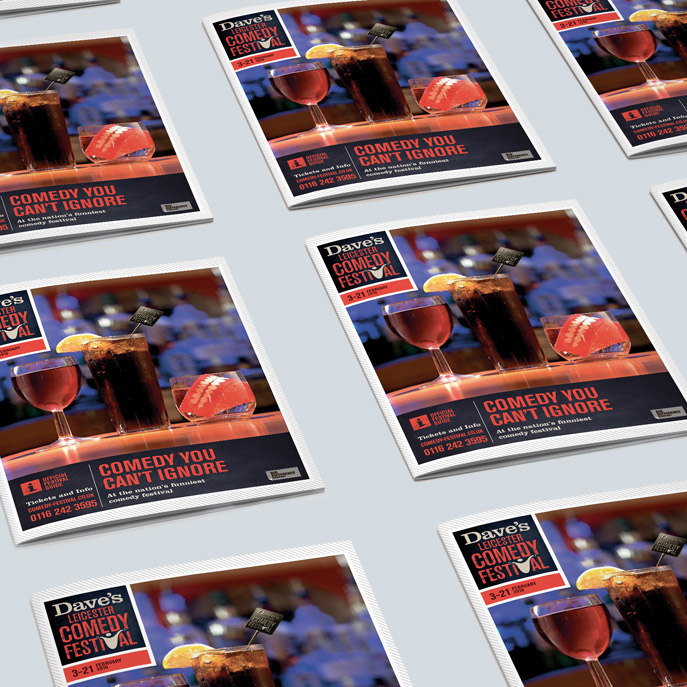 It was followed by two more successful campaigns in 2013 and 2014. Then, in 2015 Dave TV updated their brand. 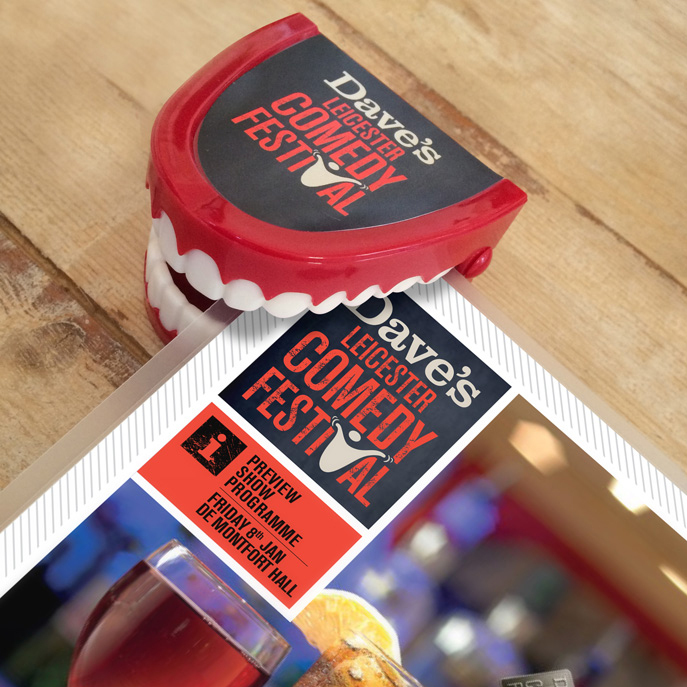 For the second time, we updated the festival brand in line with Dave TV’s new identity. 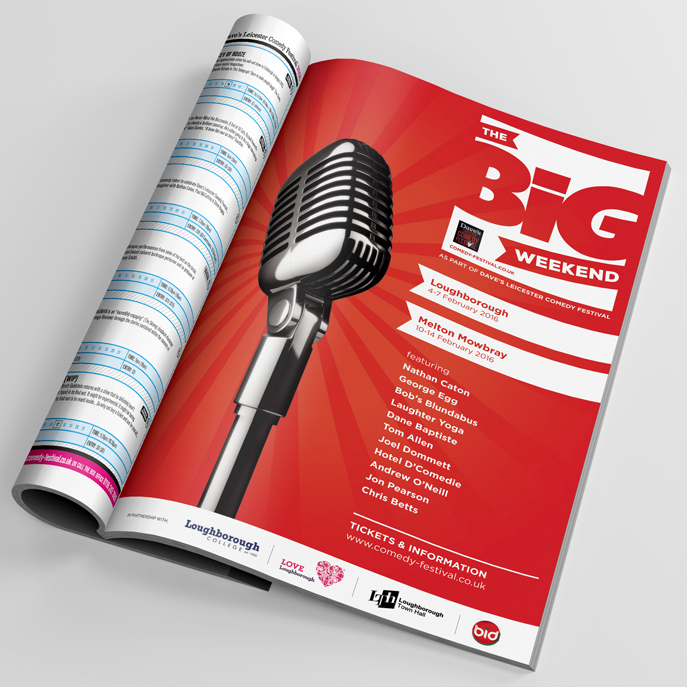 For the second time, both Dave TV and the festival were delighted with the result. 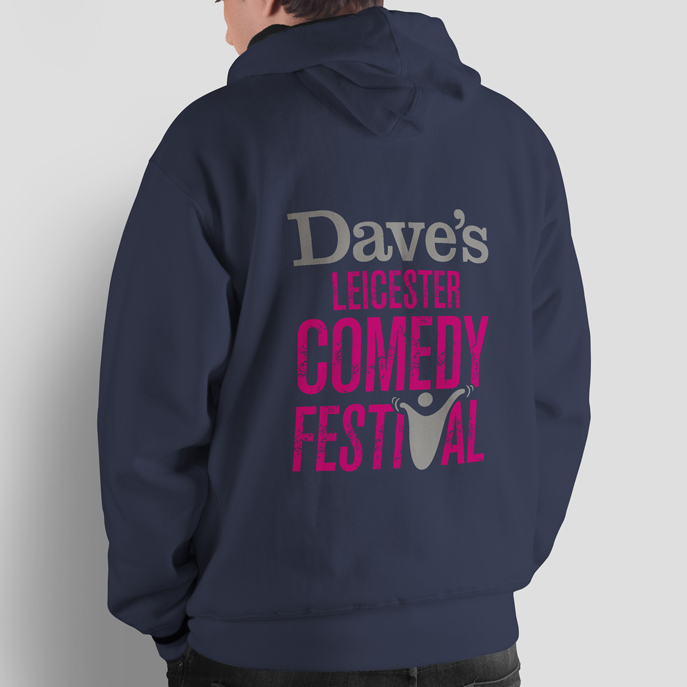 The Dave TV and Leicester Comedy Festival brands are a perfect fit and our involvement has ensured both brands benefit from the joint visual identity and festival campaigns.